The LabFact team is delighted to welcome Lesley Heath as our new EU Interreg Project Administrator at the University of Sussex. Lesley has previous experience working on EU Interreg projects in local government and will support the programme by documenting our evidence of industrial impact and activities. One of her first tasks will be to help organise the LabFact Summer School for SMEs on Mechanochemistry that will take place in July 2019. We wish her every success! The Sussex LabFact Team. 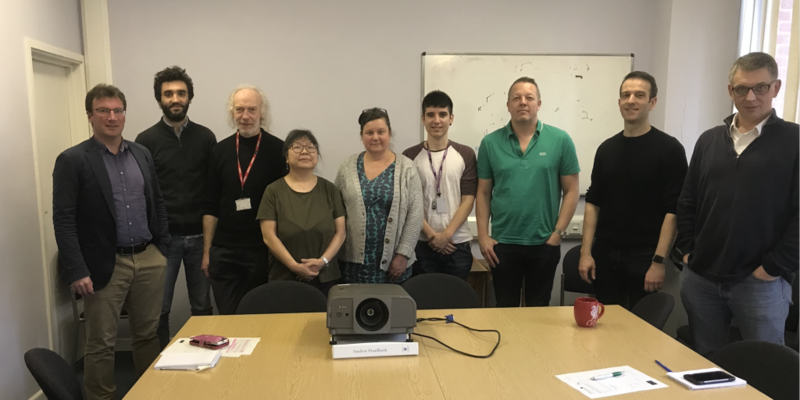 From left to right: Dr Barny Greenland, Hugo Emerit, Prof Mark Bagley, Mary Wong, Lesley Heath, Sergi Ortoll, Prof John Spencer, Dr Eddy Viseux and Dr John Turner.